For me, the most important feature of a CLP is the filter’s ability to cut down reflections. 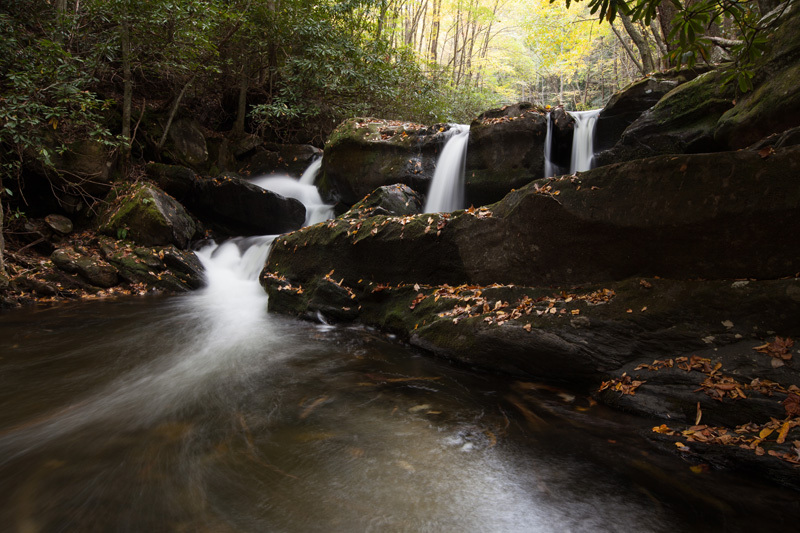 In landscape photography, this means that reflections on water, wet rocks, wet leaves and even dry rocks and leaves can be cut down and often eliminated altogether. This is extremely important since the reflections essentially replace detail and saturation with ugly shiny spots on your image. This can ruin your otherwise colorful scene. Just take a look at these next two images to see exactly what I mean. By rotating the circular polarizer, the reflection in the foreground is removed. What might not have been as immediately apparent is how the leaves in the background look more saturated. This is because leaves are reflective. Cutting through this reflection allows more detail and saturation in the background trees to come through. However, sometimes you want a certain amount of reflection in your shot. You can control this by simply rotating the polarizer. With wide-angle lenses, it is a delicate balance to get a desirable amount of effect in as much of the scene as possible. As we’ll see in the next section, the direction of light is very important for a CLP in certain cases. However, if you are in overcast conditions and not including the sky, then the angle of light is not really an issue in its effectiveness in cutting reflections. We’ve already seen that polarizers can help colors to look more rich by reducing reflections. 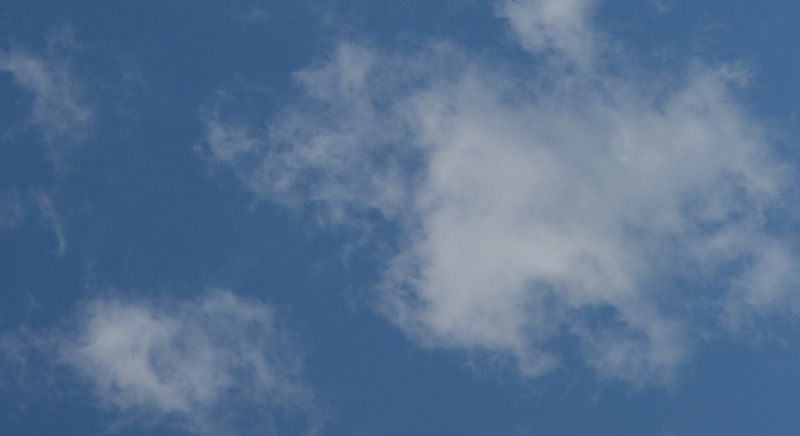 Another common use of CLP’s is to increase contrast and saturation in a blue sky. Skies look more blue and clouds more detailed with the polarizer. However, the filter has some limitations in this area. If the sun is in front of or behind you, then you will not get the effect of the polarizer. The sun should be perpendicular to your camera lens… 90 degrees to your right or left. This limits the cases where you can use a polarizer to enhance the sky. Also, because wide-angle lenses cover a larger area of the sky, some of the sky will be 90 degrees perpendicular to your lens, but not all of it. This causes uneven polarization across the sky, as seen below. 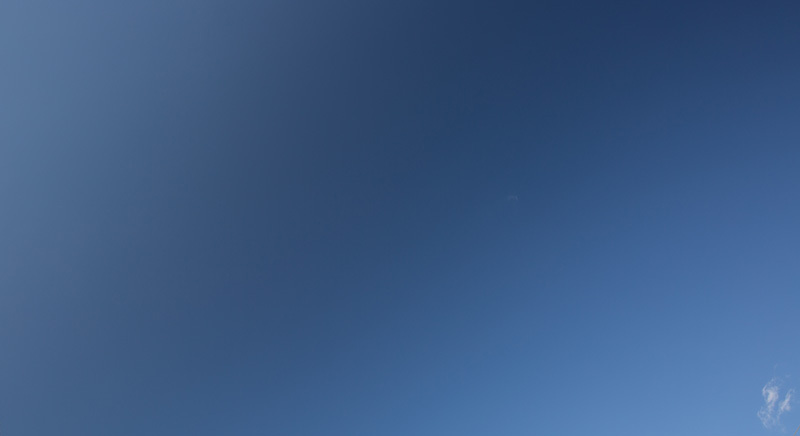 You can correct this somewhat in post-processing, but it takes work to get the sky looking reasonably acceptable. For this reason, it is better not to shoot too wide when using a polarizer to enhance the sky. By the way, when rotating the filter, don’t go too overboard on deepening skies, especially if the sky is already quite blue. You can turn nice blue skies way too dark. CLP’s also help cut through haze in distant landscape elements. This is because haze is also reflective. In some cases, you may want to include at least some of the haze in your image, so use your own judgment on this. 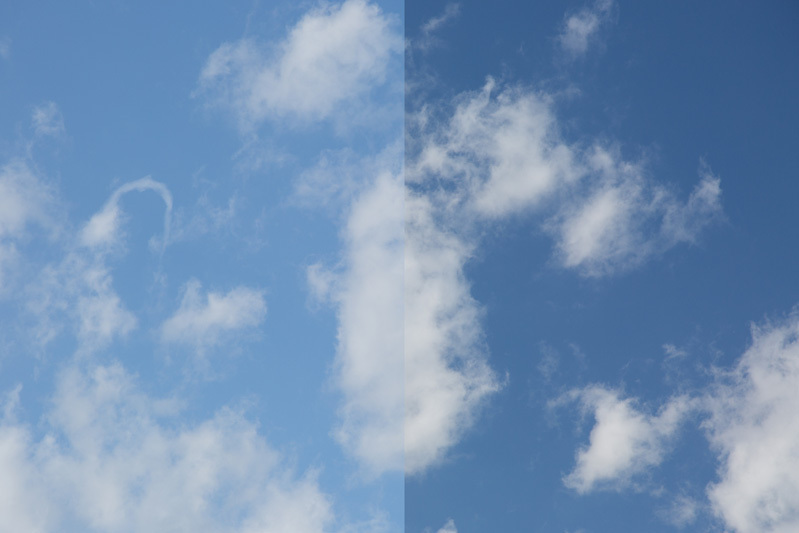 Polarizers function similar to neutral density filters in that they cut down the light reaching the sensor, typically by about 1-2 stops. This makes slower shutter speeds possible. Depending on the situation, this can be completely neutral, a benefit, or a drawback for you. 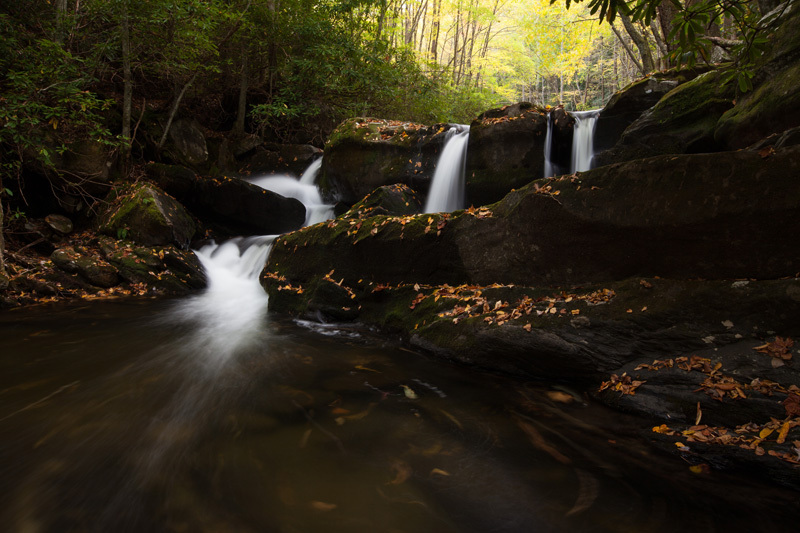 Either way, just use your solid neutral density filter instead if all you want is to slow down your shutter speed. Posted in Shooting Basics and tagged circular, photography, polarizer on June 14, 2016 June 14, 2016 by Ken Koskela.